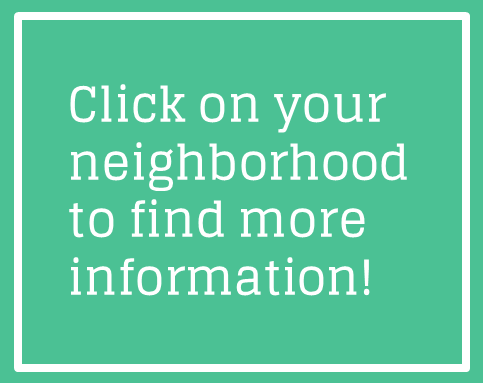 Check out the interactive map below to discover which Portland neighborhood you call home. Perhaps you’re a DIY kind of person? Then you know already know what it takes to make things happen. Projects don’t complete themselves, neighborhoods don’t advocate for themselves, art doesn’t magically appear—neighbors are the driving force—it takes hard working and dedicated people like you to create a neighborhood with a strong and vibrant presence. Each Portland neighborhood has its own identity and reflects the character of the individuals living and working in them. We want to invite you to join with your neighbors in making great things happen in your community! Get started right now by contacting SE Uplift Neighborhood Coalition! Whether you want more bike lanes, community-conscious development, safer streets, more art, parks, gardens or social events SE Uplift has the resources you need to make your project happen. Discover grants and financial support, workshops, and partnerships with like-minded individuals or organizations with political weight at city hall. *Every Portland resident, property or business owner is a member of their neighborhood association.